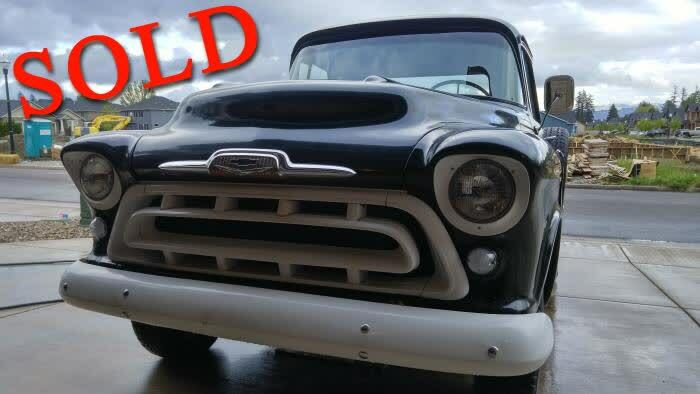 This 1957 Chevrolet Truck 3600 V8 has been sold. It has a V8 290 HP Motor in it with the original 4 speed transmission. Runs great but moving onto another project so I need the space. It also has hugger headers and 3" exhaust with flow master mufflers that we're done a year and a half ago. Also the taillights and front turn signals have been upgraded to LED's for better and cleaner visibility.